Wilson Architects has given Caboolture’s new GP Super Clinic a unique redesign that throws away the traditional 'institutional' approach. 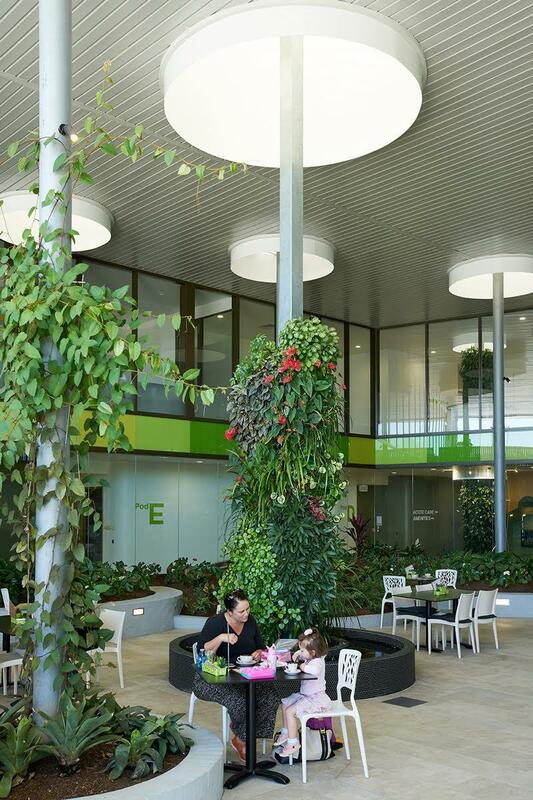 Unlike institutional designs traditionally employed by clinics, the $8 million facility features vertical gardens, fish ponds and an atrium to foster a feeling of healing and respite. 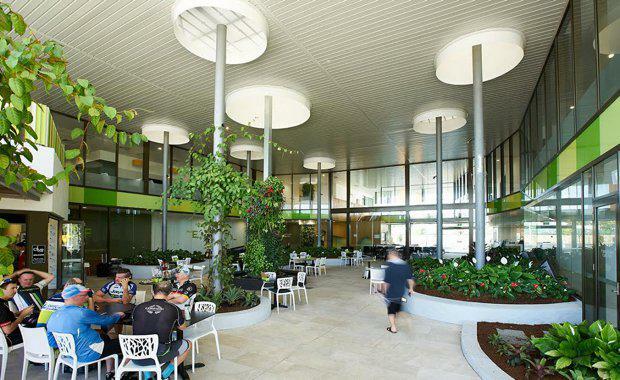 Caboolture local Fiona Heckelmann says the light-filled spaces provide an organic and calming atmosphere. “From a patient’s perspective, it’s revitalising and refreshing – because of the fact that you’re surrounded by nature and life,” Ms Heckelmann said. Wilson Architects’ design approach focuses on the experience of the occupants and visitors using a Salutogenic technique to the design – a method coined by professor of medical sociology, Aaron Antonovsky. This approach promotes wellbeing in healthcare, and focuses on factors that support human health, rather than on factors that cause disease. Caboolture GP Super Clinic Executive Director David Hooper said “there’s a very strong link between feeling good, and being well. Wilson Architects’ intent was to facilitate a positive human experience through design – a design which was scalable to enable the future viability of the centre. Wilson Architects Managing Director Hamilton Wilson said design is critical to health and wellbeing, and can make a big impact on projects of all sizes, even on a small scale. “We design places for people. Through better design, the GP Super Clinic will in fact, enable better patient outcomes," he said. Locals say the clinic connects to the public in a new way, and Hamilton explains this was a vital consideration in the design phase. “Our priority was in making the centre a community clinic, which is seen as part of the community, with ownership from the community,” Mr Wilson said. 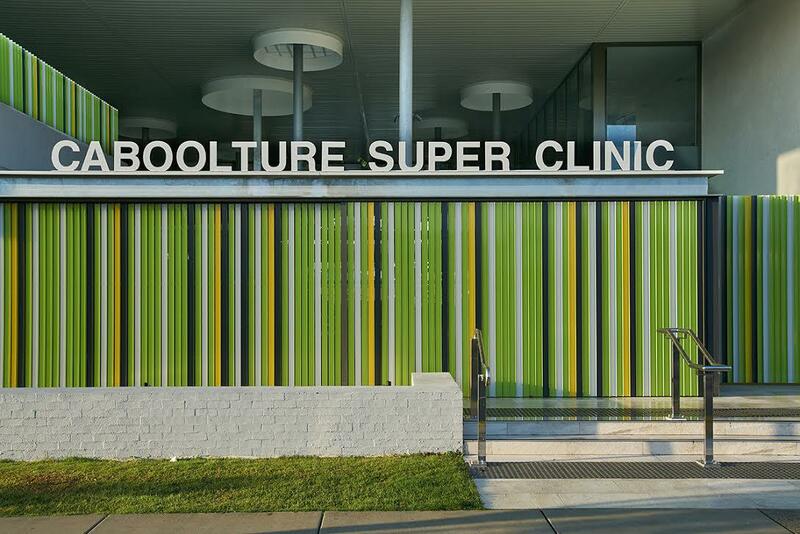 Super Clinics Health Care (SCHC) operates the clinic as part of the Federal Government’s GP Superclinic Program.